V8 Powered Subaru Justy Wins the Grassroots Challenge - Justang Victory! The Justang. A combination of a 1993 Subaru Justy hatchback, and the undercarriage of a 1999 Mustang SVT Cobra. Justy + Mustang = Justang. Frankenstein’ed together in the depths of the Circuit Motorsports shop over thousands of man hours, late nights, and many, many slices of pizza. Through some serious ingenuity and lots of custom fabrication the CMS team successfully molded the 2 cars together, creating the worlds first wide-bodied, V8 powered Justy. Every original body panel was retained from the Justy, using them to create super wide fenders, shortened doors, and an exaggerated hood line to house the monstrous DOHC 4.6L V8. The interior even includes the original Justy dashboard, with a full firewall and 4 point roll-bar just behind the driver seat. The rear hatch area how houses a rear mounted radiator, battery and small fuel cell. The overall look was completed with an 80’s Group B Rally theme; including driving lights, a huge rear wing, and Martini racing livery. 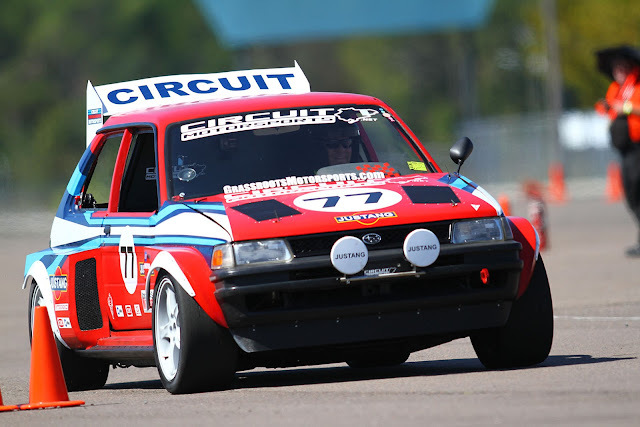 We took a 3 cylinder economy hatchback and turned it into a fire breathing rally-style legend. Oh, and we did all this for less than $2,000. 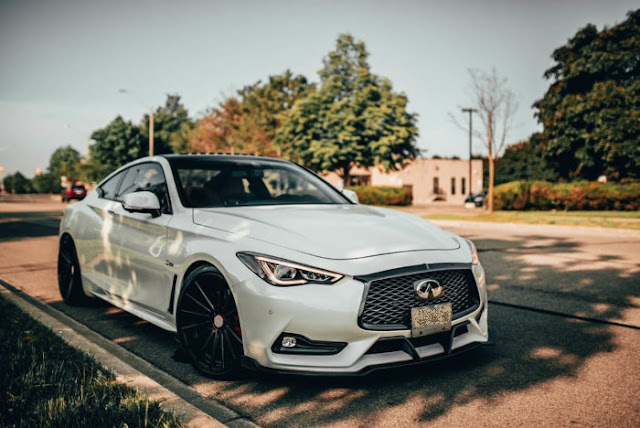 Infiniti Q50 and Q60 Dyno-tuning with EcuTek - How much Boost? Over the last 14 months or so we have been developing our tuning strategies for the Infiniti Q50 and Q60 platforms using Ecutek software. Our head Nissan/Infiniti tuner Stew actually purchased his own 2018 Q50 S to be able to both street-tune and dyno-tune on his personal car and see where the downfalls of the stock platform may be. Hundreds of hours of development have resulted in a very good understanding of the unique ECU tuning for these vehicles. Read on for some valuable tuning info! A good client of ours has brought his 2013 Subaru WRX in to our shop a handful of times over the last couple years. It started out stock, and has progressed with a Stage 2 setup, to full-bolt-ons, to an upgraded turbo and accoutrements. 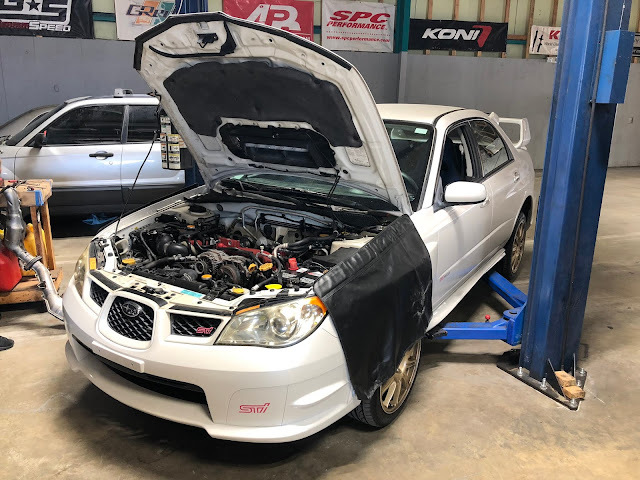 Now making 400whp, and at the safe limit of the engine and transmission, the owner wanted to make sure it was going to be safe and hold-up in the Florida heat. 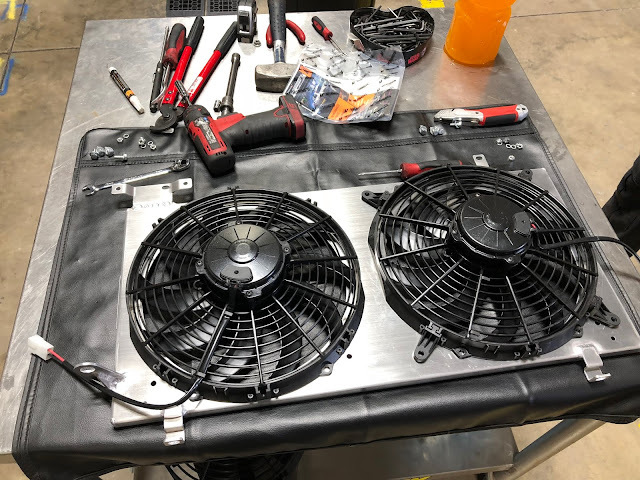 We recommended a handful of modifications to ensure the cooling system would be able to keep up with 100+ degree summer temps. Read on to see what what we did to improve this WRXs cooling capabilities! Ford Fiesta ST - Turbo Upgrade, Downpipe, and Custom Tune! 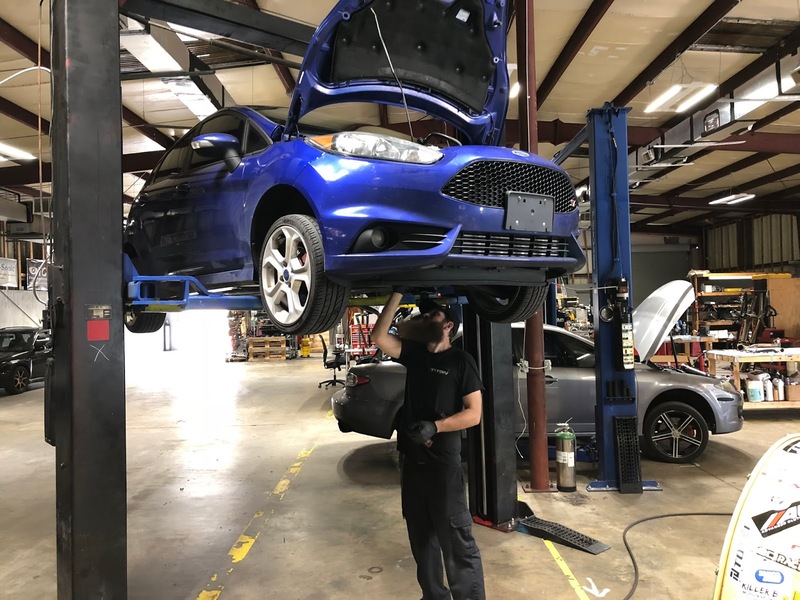 We just recently had a clients Ford Fiesta ST in for some fun upgrades, including a new turbo! The owner had purchased a Puma Speed X-47R upgraded turbo unit, along with a downpipe and the associated hardware needed for this swap. We laid out the parts we had on hand to inspect the components and ensure there were no issues, then we got to work!